as on this billboard in Times Square. 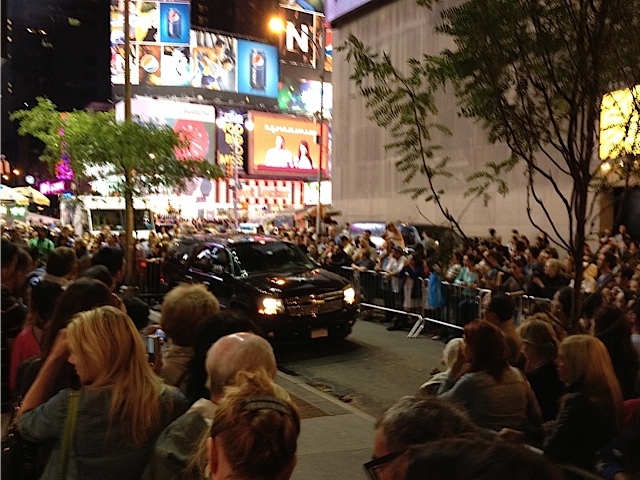 The crowds waiting at the Marquis stage door on 45th Street. 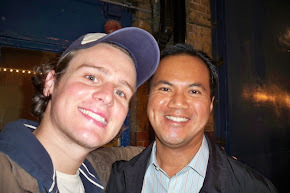 Despite only one prior Broadway credit as one of the many actors to play Marius in the musical 'Les Miserables,' Martin's cache as an above the title star in a New York production was untested. 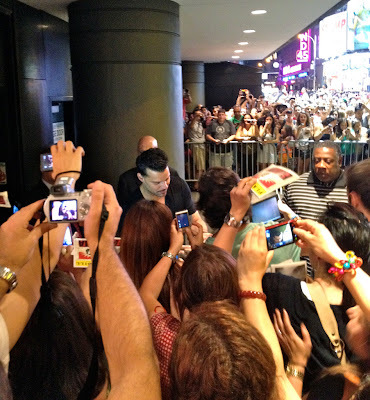 Martin has a multi-platinum singing career and was a member of boy band Menudo but who knew that he could command crowds like this on Broadway. Martin's name has been filling seats that the show has topped over a million dollars per week at the box office despite the less than positive reviews for the show. Many are predicting that when Martin takes a vacation from the show next week that box office will reveal his true box office draw. Martin is currently on contract to star in the show until the end of the year. 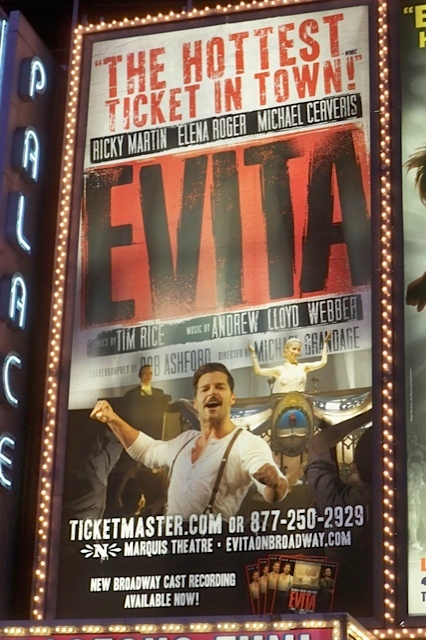 'Evita' has broken the weekly-box office record at the Marquis (for an eight performance week) seven times peaking at $1,586,902 during the week ending May 20, 2012 out of a potential box office of $1,666,936. Since opening the show has been among the top five grossing shows on Broadway each week joining the ranks of 'Wicked,' 'The Lion King' and 'The Book of Mormon'. Of course part of the gross must be attributed to the curiosity of seeing 'Evita' revived for the first time since the original New York production that opened in 1979 and continued for nearly four years and made Patti Lupone a Broadway star. Though star Elena Roger has already preserved her role on on the highlights London Cast Recording, the star and draw of the Broadway production is Martin commanding that a complete 2-CD recording of the show be made which is released this week. 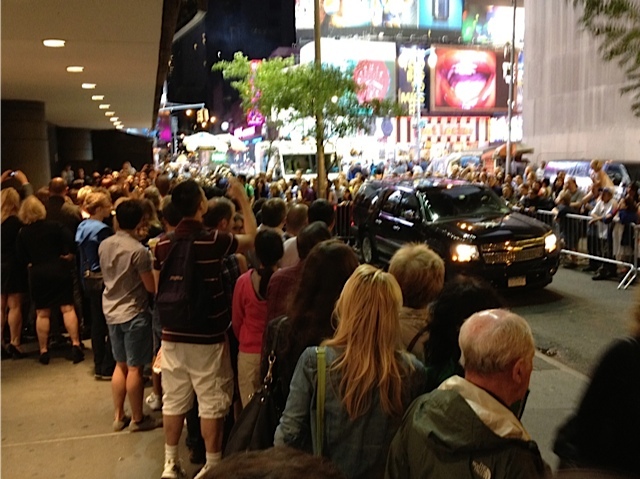 The nightly crowds are bleeding onto 45th street near the Marquis Theatre stage door blocking traffic and the sidewalk on both sides of the street. I had no plans after the show and I usually see what kind of crowd is greeting the stars of a Broadway show. This one has to be one of the largest I have ever seen even attracting spectators who did not see the show this evening as evidenced by pedestrians passing by who were curious what the crowd was for and after finding out it was for Martin decided to become part of the masses. Alas most of the crowd could only get a glimpse or a snapshot of Martin. 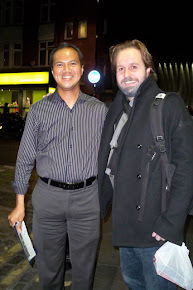 After exiting the stage door, he signed a few playbills and darted for his limo. The crowds thinned quite a bit after this even though the actress playing Eva Peron had not yet stepped out of the stage door. See the next post for my review of the tonight's show. Martin's limo awaits while barricades corrals the crowds. Click photo for the complete list and links to each attraction. How many have you visited? Click photo for the complete list and links to each attraction. 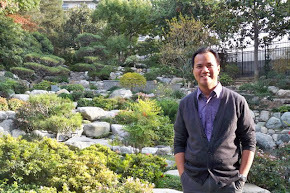 Upgrading on Hawaiian Airlines: Hawaii to/from the Continental U.S.
Read about this hidden gem in Downtown L.A.
Read about Chinatown in central London. 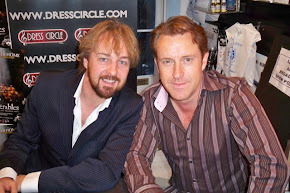 CD signing with the cast. Read about the restaurant where the servers dress like monks and the beer is plentiful. Read about this haven in central London. WHAT TIME IS IT IN....? Copyright 2007-2016 The Hopeful Traveler. Awesome Inc. theme. Powered by Blogger.